Hey there! Thanks for dropping by UC Davis Bookstore TechTalk! Take a look around and grab the RSS feed to stay updated. See you around! This month for our Cheaper Alternative, we are revisiting one we have previously done back in July of 2009. This month we are spotlighting the Acer Aspire One D250 again. The reason for this is because we were able to get a special deal on these machines. Normally they retail for $349 or so, but the TechHub has them for you this month at only $299! Thank you to those who participated in the Buzz 2009 TechHub event. It was great playing “Blackjack” with everyone that evening. We posted the names of the winners of the raffle that we held, and the winner of the ASUS 1005HA Netbook has claimed their prize. So congratulations to Jennifer Nguyen. We hope you enjoy it! The netbook winner, Jenny Nguyen! With the increasing appeal of portability in computers, the Netbook’s popularity has exploded on college campuses. “Netbook” has become the term used to describe small and portable computers that rely heavily on internet use and require little processing power. Most range in size from 8”-12” and lack CD-ROM drives to keep them light weight. While the TechHUB can order a variety of Netbooks, our best seller, and this month’s Cheaper Alternative, is the Acer Aspire One D250. To finish off Netbook Week, I am taking a look at the HP 1120NR Mini. This netbook is part of HP’s consumer netbook line. This is an even lighter weight more consumer friendly netbook than the HP 2133. The biggest difference between the two (besides the overall look) is the user interface. Let’s take a look at the system specs before I begin. For the third day of Netbook Week, I have decided to take a look at HP’s business line of netbooks, the HP 2133-FT268. Constructed from a sturdy aluminum shell, this makes this netbook much more durable and light weight than other netbooks on the market. And let’s face it, many of us like the overall look of an aluminum case…why else would Apple have used it for so long? Now let’s look at the specs. Continuing with our look at netbooks this week, the next one I am taking a look at is the Dell Inspiron Mini 9. Just like the Acer Aspire One, there are several different models of the Mini 9 (check out http://www.dell.com/ucdavis to “build your own” with your academic discount) and the one that the TechHub sells is the 8GB SSD Alpine White version. And just like the Acer Aspire One, let’s take a look at the overall system specs of this Dell Mini 9. 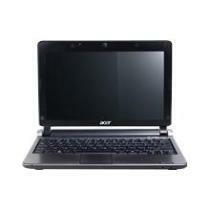 To kick off ”Netbook Week” at the UC Davis TechTalk blog, I have decided first take a look at the Acer Aspire One. There are several different models of the Aspire One, and the one the TechHub carries is the Blue 160GB version for $329. While I still prefer my MacBook, I am a HUGE fan of this tiny machine. We have come a long ways, and we now have a fully functioning computer in a size you can easily throw in a purse or backpack.